There is no shortage of leadership books available to read, but Brian Dodd’s Timeless: 10 Enduring Practices Of Apex Leaders stands out. If you read Brian’s popular website Brian Dodd On Leadership, he frequently profiles Apex Leaders; those who are the best in their profession. After years of research, Brian identified over 300 traits and practices of the world’s best leaders. He then narrowed the list down to the 10 most common. After applying a biblical perspective coupled with modern-day examples to each practice, Timeless: 10 Enduring Practices Of Apex Leaders was born. There are things great leaders have always done and will always do. Brian takes these complex concepts and boils them down into practices any leader can do. What also makes Timeless: 10 Enduring Practices Of Apex Leaders unique is the book is not made to be read and applied alone. Each chapter contains a series of discussion questions. As a leader, you can now sit down with other leaders and with your team. Together, you can discuss what is needed to become the best leaders you can be and then collectively advance your organization’s mission and vision. Any leader can get better. Any leader can improve. Timeless: 10 Enduring Practices Of Apex Leaders is your tool for going to the next level. Click HERE and order your copies TODAY. 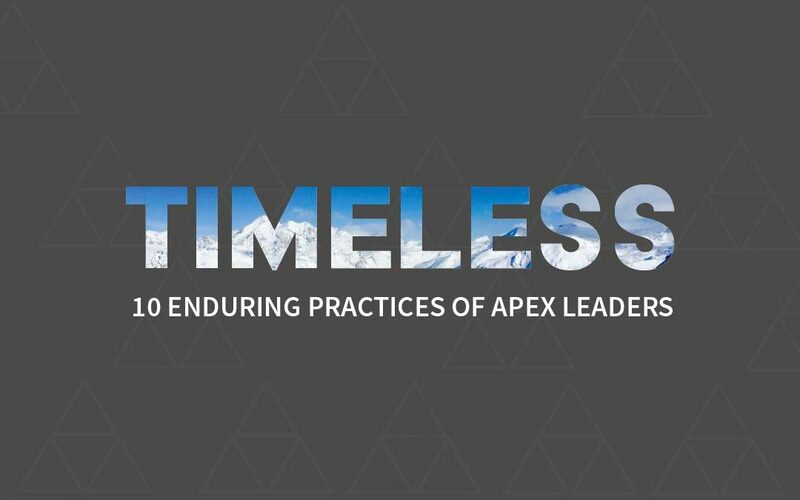 Timeless: 10 Enduring Practices Of Apex Leaders will help you become the leader you were meant to be.